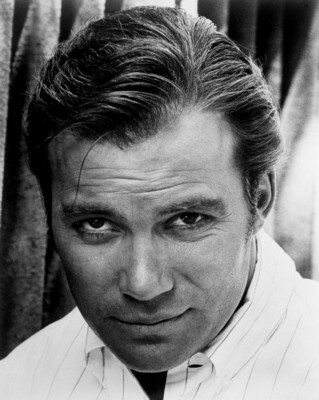 I'm just going to devote the old blog to William Shatner today. Because upheaval and disasters are running rampant all over the world, and we need something to cheer us. Mr. Shatner, you have that power. 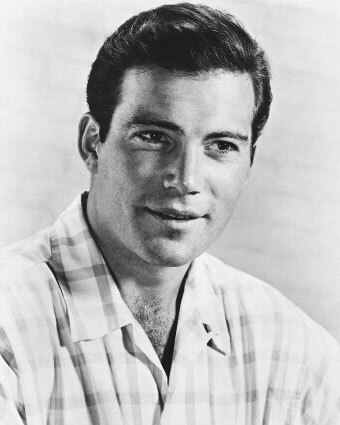 I'm going to start with some pictures of the younger Shatner, when both his hairline and waistline were well defined. 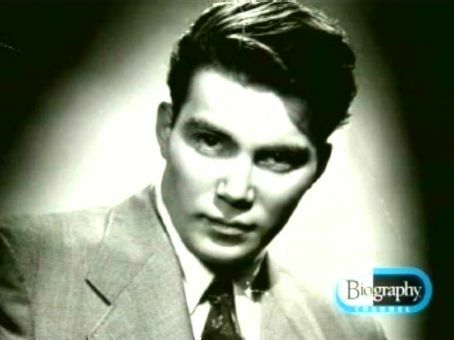 He was so good-looking, it's hard to believe he's Canadian. Kidding! They're lovely people, with the possible exception of Mike Myers. The smolder was there early; the smirk had yet to be perfected. Next came the enigmatic smile and the off-camera gaze. Real hair on both head and chest. About to freak out on "The Twilight Zone." Back when airplanes had draperies. 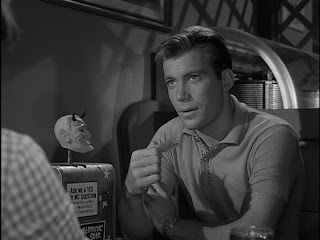 "Nick of Time" was actually a better "Twilight Zone" episode. where John Belushi makes puppy-dog eyes at Carrie Fisher? Next: Shatner's career explodes, along with his ego, his gut, and his toupee collection.